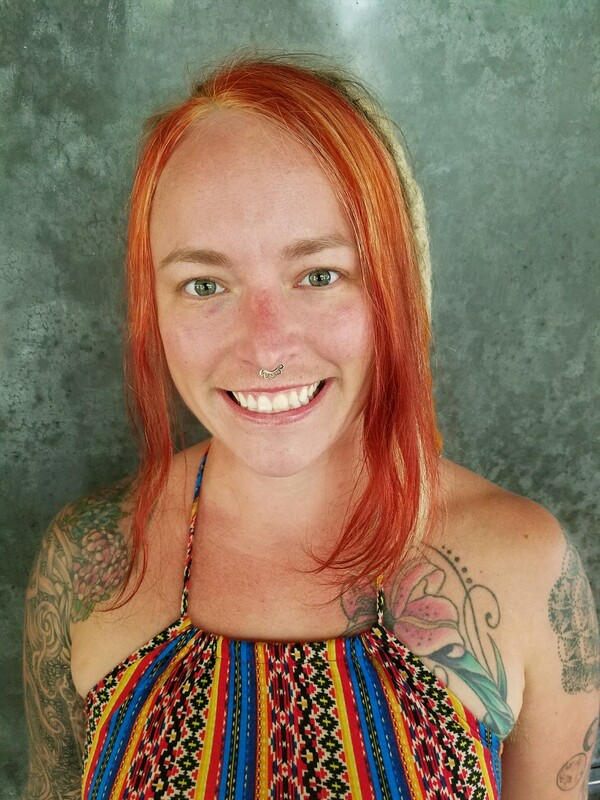 Amber Lippel is a massage therapist/ energy healer, sustainable clothing designer and artist located in Eugene, Oregon. As a healing practitioner, Amber treats all the levels of being, bringing mind, body, spirit into harmony. Amber focuses on the individual, being present and creating a supportive container. She calls her practice “intuitive therapy” and employs a multitude of tools to support holistic wellness. As an artist, she creates with fiber, mixed media, paint, paper and ceramics. Currently she is focused on custom clothing creations, sacred geometry screen printing and abstract paint pouring. Her process usually starts with color(s). She attempts to use as much recycled material as possible. She is open to receiving select donations. Amber is also a yoga/movement therapy teacher and Master Gardener. All of her work connects back to creating, supporting and cultivating holistic wellness. Her long term goals are to create an art collective in town and retreat center out of town. The “Life-as-Art” and holistic wellness has re-empowered Amber to trust the creative process and to believe in her dreams. After spending 9 years in the military, Amber resigned her position to follow a more authentic and integral path. Originally from Montana, Amber moved to Oregon to attend the University of Oregon in 2005. Her degree is in Sociology, business and military science. She now calls Oregon home and enjoys exploring all of the amazing outdoor wonders. In her free time, Amber likes to cook, ferment, read in her hammock and dance with friends. 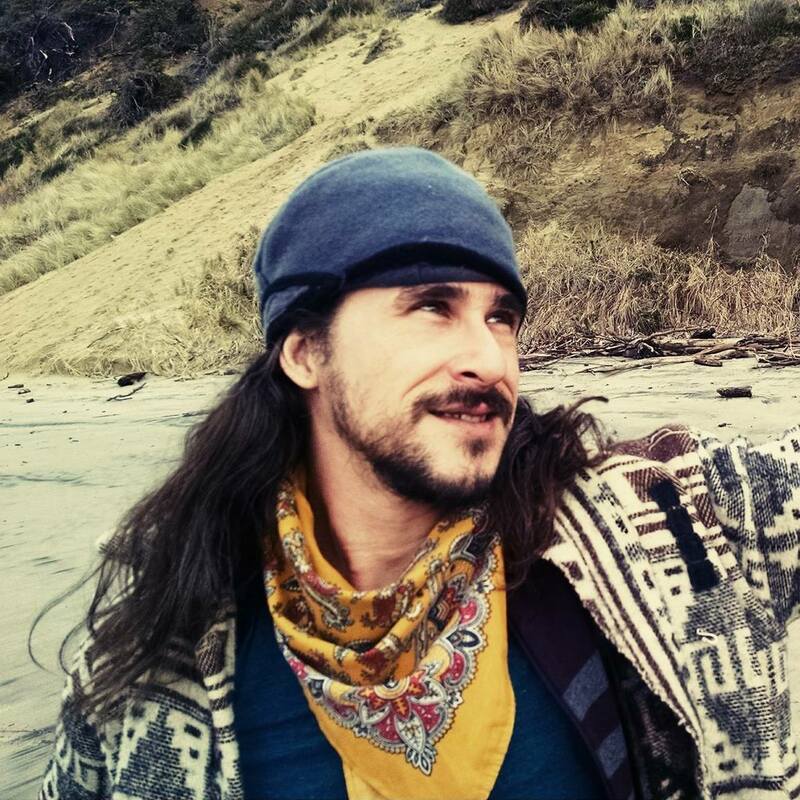 Isaac Boatright is a massage therapist, meditation teacher, healer, mystic, and writer. He has called Eugene home since 2002. Isaac’s healing work has grown naturally out of his own journey to health and happiness. This work focuses on and is informed by the power of the heart and our connection to our inner being. As a massage therapist, Isaac brings years of experience as an energy healer into the practice of therapeutic touch. Each individual receives a unique session, according to their unique needs. His way of working is multifaceted, with intuition playing a large role. Isaac’s teaching and writing work is centered around a method of meditation that he has developed, known as Heart Presence. Heart Presence is a way of connecting directly to our source through the power and intelligence of the heart, both as a physical organ and as an energy center. He regularly offers events wherein he guides participants on inward journeys of connection, healing, and discovery. The essence of Isaac’s massage work is to help clients to feel more alive, more embodied, with more peace and joy in their hearts. Isaac grew up in a military family, living in many places and multiple countries. He comes from a large family and has lived a colorful life. He has studied and performed research in many realms, but has found that healing work is where his heart truly is. He loves art, music, and dancing, and a good cup of reishi tea.